Retrofitting your home with insulation is one of the best ways to maximize energy efficiency and gain long-term savings. Although many homes today have enough insulation, older homes built in the 1970s or earlier most likely aren’t insulated enough. In these cases, more insulation should be installed. The type of insulation you’ll install will depend on a few different factors—where you need to insulate (attic, basement, exterior walls, etc. ), the type of HVAC system you have, the age of your home and more. A professional insulation company will be able to tell you what material you need, where you need to insulate and how much insulation your home needs. Do You Need to Re-Insulate Your Home? These aren’t all the signs, but they are common ones that homeowners can pretty easily detect. If you live in an older home in southeastern Virginia, Tidewater Insulators can help. 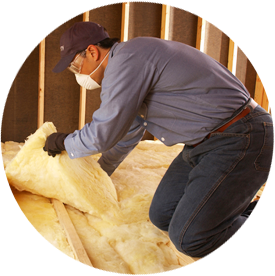 We’ve added insulation to homes in the Norfolk, Newport News, Virginia Beach and surrounding areas. Contact us today to learn more about our services or if you’re ready to re-insulate your home!